Harold was an addicted gambler. His wife left him, his daughters hated him. He came in Hong Kong to work as consultant to a huge construction project in order to repay a huge debt. He accepted Jesus Christ in an Evangelistic activity of an International Church. Three years later, his debt fully repaid, his relationship with his daughters restored. Marina came to Hong Kong with a pure heart – just to support the family’s finance need. She came across a nice lady in the market one morning, they became friends. She was invited to an outdoor fun activity one public holiday where she heard that God is Love. She subsequently accepted Jesus Christ and now she is a Deacon of a Church in Hong Kong. Five ladies sensed God’s leadership and fellowship together as they witnessed for Jesus Christ to people around them. They grew, some finished contract, some moved elsewhere in the world. Today, they are over 20 congregations and became a new Christian denomination in their country. And if you trace back to where they originally started, it was a small park in Hong Kong. 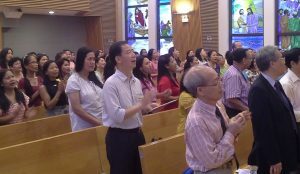 The above is just a quick glimpse of how the Gospel can touch the lives of the overseas workers and expatriates in Hong Kong, a beautiful picture of the cross-cultural Evangelism. As 1 Timothy 2:4 says God wants all people to be saved and to come to a knowledge of the truth. 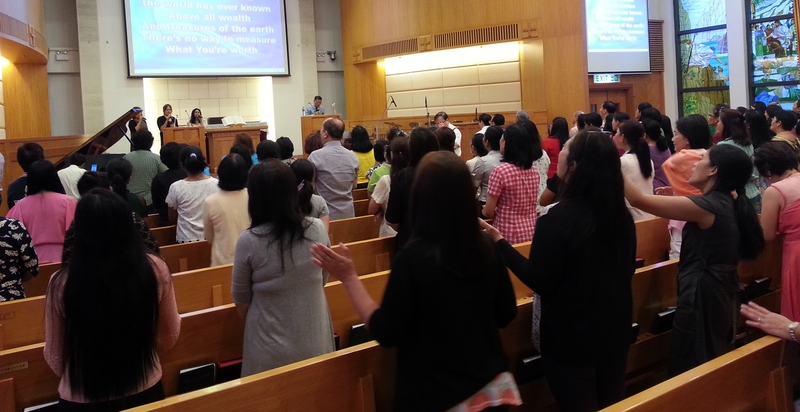 The Hong Kong Gospel Festival will hold an International Session in the morning of 3 December. We will witness a celebration of peoples, as a hundred voice choir sings, as Christians from all over the world will worship together. We seek to bring the unity of Christians as a witness to bring people to Christ, the passion and power bestowed by the Holy Spirit to carry out the Great Commission, and that God will use the Gospel Festival to bring about revival among Christians and Churches. 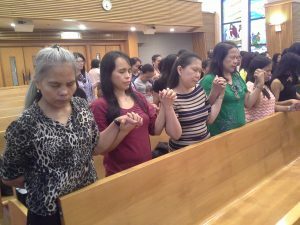 It is our desire that we will be able to reach out to all nationalities here in Hong Kong, and that they may accept Jesus Christ as their personal Savior and Lord of Life. As God promised to Abraham in Genesis 12:2-3, we can be a blessing, and all peoples on earth will be blessed through us. Imagine how marvelous it would be when people from all nations will gather together to praise, and to introduce Jesus Christ to one another. You all can be a part of the celebration, as you “join the Choir” and “enroll as counselors”. Most important of all, talk to the returned immigrants, overseas workers and English speaking people around you: “tell them about Jesus, invite them to the Gospel Festival”. Pray that more brothers and sisters will experience God’s leadership to participate in the Gospel Festival. Pray that more brothers and sisters’ hearts will be touched by God, and share the gospel with others and invite them to join the event. Pray that God will prepare the heart and mind of our speaker. Pray for our invited Testimony Speakers. 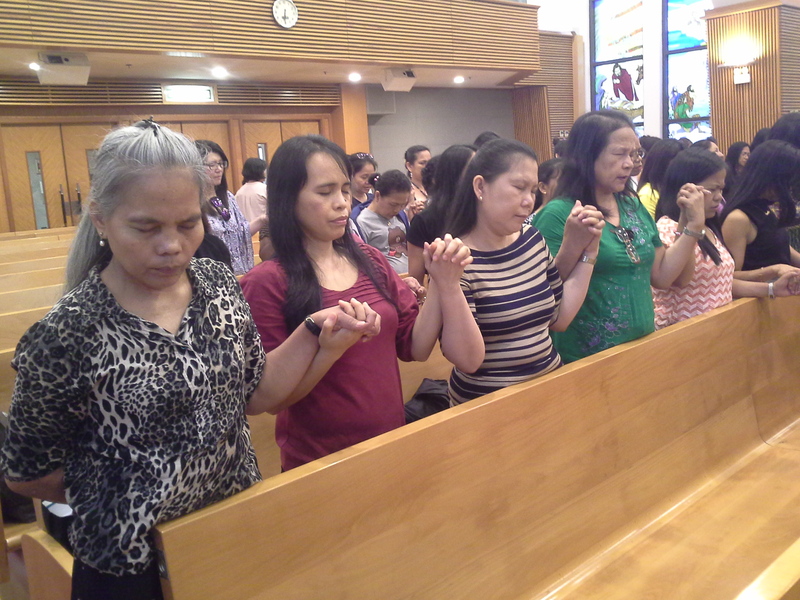 Pray for the enrollment of Choir members and Counselors .